Your divorce decree governs many issues between you and your ex-spouse including child custody, child support, spousal maintenance, division of property and division of debt. Both of you are bound by the terms of your divorce decree as it's a court order. If your ex-spouse does not comply with the order, you can ask the court to enforce it. If your ex-spouse is not paying child support as ordered, the Illinois Department of Healthcare And Family Services' (HFS) Division of Child Support Services (DCSS) can help you enforce the child support order in your divorce decree. They can track down your ex-spouse and take measures such as seizing his tax return to pay past due support. Additional measures they can take include seizing his driver’s license, professional licenses and passport until he is current with his owed child support payments. You can also file a petition for contempt of court if you don’t want to receive state help, or if you need to enforce something other than child support. You can use an online legal service to find an attorney to represent you, or you can file the petition on your own. Contempt of court simply means that your spouse has violated a court order. Once the court finds your ex-spouse in contempt, it can then enforce its order. In Illinois, enforcement could include garnishment of wages and even jail time. To initiate a contempt case, file a Petition for Rule to Show Cause with the Illinois court that issued your divorce decree. Your petition must contain information about the contempt, including the portions of the divorce order that your ex-spouse violated. You must also verify that your petition is true and accurate. Along with the petition, you must file a Notice of Motion. The court will provide both of these forms. You must then serve copies of your petition and motion on your ex-spouse, along with a notice as to when your court hearing is scheduled. At your court hearing, you have the burden of proving that your ex-spouse is guilty of contempt. You must provide sufficient evidence to show the court what portions of the order he violated and how he violated them. Typically, this involves proving that there was a valid court order, that the order required your ex-spouse to do something, that he was aware of the order, that he had the ability to follow the order, and that he purposefully disobeyed the order. 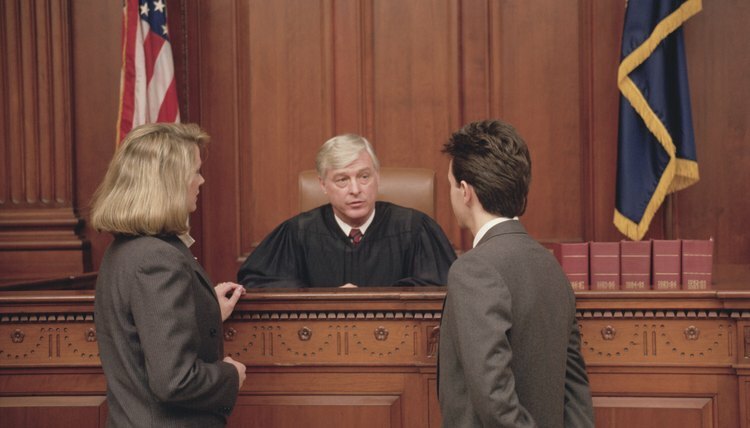 The judge will listen to your evidence and your ex-spouse’s version of events before making his decision.